I'm always excited this time of year when my favorite designers come out with next year's calendar. Here are my picks. 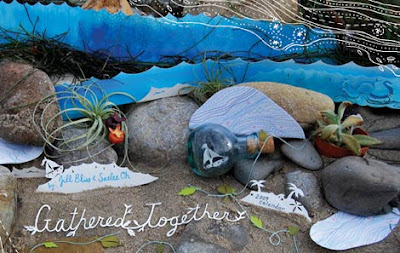 Jill Bliss and Saelee Oh are at it again! I didn't think it was possible, but I love 2009 more than 2008. I bought my own copy yesterday from 1767 Church Street! Rex Ray's 2009 calendar is another one of my favorites. I've always loved his work and this calendar provides a great collection of his work. After the year is over, you can even take the pages and use them as posters. 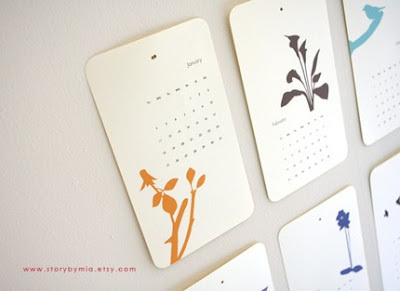 Mia from story by mia also has a wonderful nature inspired calendar. I love its understated simplicity. She also has an animals version which I think is great for a kids room. Marisa Haedike of Creative Thursday's calendar is just gleeful. Her story is also an inspiration for those of us who strive to incorporate a little more creativity in our lives. 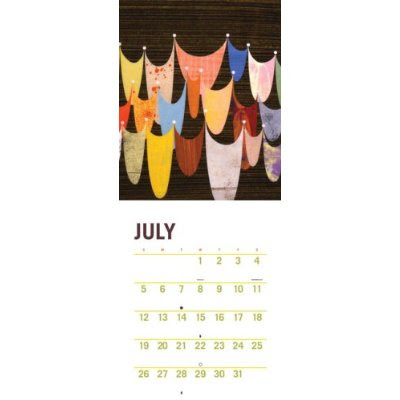 The Lotta Jandotter 2009 fabric calendar is great too! 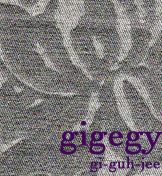 You can reuse it as artwork, scarf, headband or a tea towel! 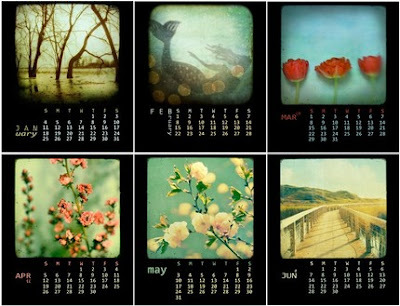 Irene Suchocki's poignant photography is showcased in her 2009 TTV Desk Calendar. 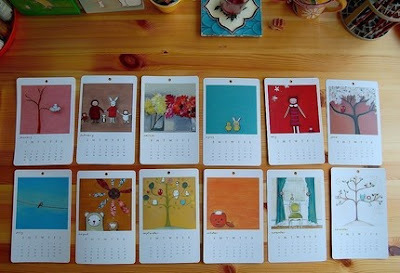 I love the artwork and the colors used in Elum's letterpress calendar. 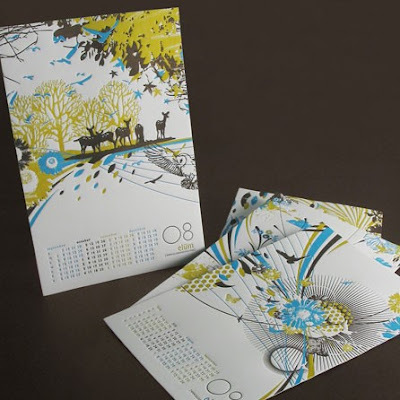 Last but not the least, I think I am not alone when I beg Diana to please, please, please design a 2009 calendar! Thank you so much!! These are all so beautiful!!!! My pleasure! I love your work.